Strep throat can occur to anyone, at any time. Although children and teenagers are the ones who often get strep throat, adults may also be affected by this illness. 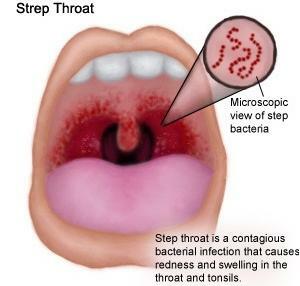 Strep throat occurs due to infection with group A streptococcus bacteria. This type of bacteria is very contagious and can be easily transmitted through secretions (sneezing, coughing) or physical contact (handshake, touch). Even perfect hygiene can't prevent strep throat from occurring, as the bacteria that cause the infection are also airborne. In some cases, you can contract the bacteria responsible for strep throat just by standing next to a contaminated person. There are home remedies for strep throat that can ease each of these symptoms. However, it is very important to understand that home remedies for strep throat can't completely replace medical treatments prescribed by a physician. Strep throat is an infection caused by bacteria and therefore needs appropriate treatment that consists of antibiotics. Although there are natural alternatives for medical antibiotics, they are considerably less effective in fighting bacteria on their own. Home remedies for strep throat that can act as antibiotics are garlic, honey, olive leaf extract and tea tree oil. Such home remedies for strep throat can help in fighting infection and inflammation, but medical treatment shouldn't be ignored. In fact, most home remedies for strep throat should be used only in addition to medical treatment with antibiotics.